August 12th, 2018 by Roy W. Spencer, Ph. D.
Update: The NASA Fireball Network, monitoring only a few U.S. locations, logged 56 Perseid fireballs last night. Perseid “Earthgrazer”, taken with Canon 6D, 15 sec exp., 20mm f/2.8, ISO3200. No cropping. While one might suspect this was a satellite, the angular extent of the path is 60 deg., and in only 15 sec satellites cover only a small fraction of that distance; plus, the green color indicates a meteor. Also, the NASA fireball network picked this one up (one of the sensors is close to my house). As in the previous photo, but with 100% crop, and taken about 2 a.m. Given that the NASA Fireball Network logged 56 fireballs last night, I’m hopeful for tonight’s display, which should be approximately twice as productive. You can watch in any part of the sky starting after dark. The long trail meteors will be earlier in the evening, then increase in number through the night but have shorter tails. If you have a choice of directions to look, I would suggest directly overhead (use a reclining lawn chair to save your neck), or generally north-eastward as a second choice. But meteors can occur in any part of the sky. Hoping for mostly clear skies tonight. I think you could quit your day job! Those are good photos. Hope you have clear skies tonight. NASA?! -they would be the crowd who faked the moon landing, faked temperature records and promote the fiction of climate change just to maintain their tax-payer funded lifestyles! Those photos are fake ! Definitely photoshopped. Next you will be telling me that pigs can fly! I don’t agree NASA faked the Moon landings. Have you anything to support your assertion? The rest of the NASA comment seems about right. After all, Gavin Schmidt works for NASA, doesn’t he? However, I have just discovered this amazing item which indicates the climate change scam goes back over one hundred years! That goes to show that the war against the burning of fossil fuels pre-dates the revolution in Russia! Whoever is behind this conspiracy must be over 100 years old ! The cunning devils and their cunning offspring! We need more guns ! Just wait a moment while I attend to Mike Flynn. The deranged, stupid, and ignorant psychobabbling troll strikes again! Imagine a female impersonator, posing as a nurse, likely wearing pantyhose and lipstick, asking that question of another? You need the sedation and more. You could use therapy for your transgender fantasies. Nurseratched, don’t worry about Mike, please go and attend to Gordon, he is fantasizing about you again. prof p …”Nurseratched, dont worry about Mike, please go and attend to Gordon, he is fantasizing about you again”. I leave such perversions to the Aussies who specialize in sheep. We all know you are the nurse as well as dr no. One can only imagine who else you impersonate. dr no…”This tends to make the air a more effective blanket for the earth and to raise its temperature”. How does this pseudoscience work, where 0.04% of the atmosphere can form a blanket to trap heat? How effective would a real blanket be if it was threadbare to the point where only 0.04% of the blanket remained? The inference is that a blanket traps heat. That’s true to an extent with real blankets, which trap the molecules of air whose kinetic energy is heat. It’s absolutely not true for radiation, which goes through the threads of a blanket like a hot knife through butter. The truth is that CO2 in the atmosphere does not have the means to trap heat, which would mean trapping molecules of air. If you cover a transistor radio with a blanket does it affect the EM signal it receives? As I have related before, I wear a heart rate monitor while training which radiates EM from my chest to a watch on my wrist. In mid-winter, with several layers of clothes and a heavy overcoat over the transmitter, the EM is not interrupted at all. Gordon’s heart rate monitor suggests he is getting too excited. Your understanding of NASA is flawed. The NASA division which sent the astronauts to the Moon have nothing to do with GISS, the NASA division that fakes temperature data. The NASA space division is staffed with real scientists like engineers and other space experts. GISS is staffed with climate modelers who have degrees in math and computer science. Had the latter tried to send a mission to the Moon it would never have gotten off the launch pad. The head of NASA GISS, Gavin Schmidt, runs GISS. He also runs an uber-alarmist website with his friend Michael Mann. Remember Mann? He was caught in the Climategate emails interfering with peer review, aimed at blocking papers from skeptics. 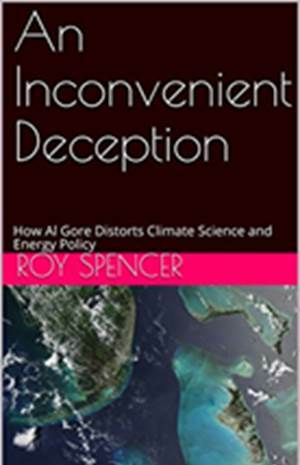 He was also acknowledged as the author of The Trick, a scam method of hiding declining temperatures. The former head of GISS, James Hansen, who taught Schmidt, was heavily involved in political causes. He was arrested with actress Daryl Hannah for going overboard while protesting the Keystone Pipeline. GISS is protected from on high. When the head of NASA wanted to fire Hansen for his blatantly political views, he was stopped from above. Al Gore was a special friend of Hansen. No. Engineers are not real scientists. They are just engineers. Good for building bridges and tightening a few bolts here and there. I suppose the undistinguished mathematician, Gavin Schmidt, who pretends to be a climate scientist, should be dismissed as a scientific authority. He does work for NASA, but so do a lot of other non-scientific types. Poor old NASA. The only way NASA can participate in space exploration using humans, is to buy tickets from the Russians. Sad, to some, but true. Do you think NASA would do better employing people who can make things work? myki…”No. Engineers are not real scientists. They are just engineers. Good for building bridges and tightening a few bolts here and there”. Engineers are applied scientists. That means we cannot settle for mere theory, we have to apply it, so it has to be right. In a university curriculum, engineers as applied science student have at least double the workload of science students. Our study in math, physics, etc., is at an honours level. We won’t even mention Arts fairies, shall we? That is because they are so far behind they so much more to catch up on. Your understanding of university curriculum is on par with your understanding of science in general. Your forte is gleaning Google for alleged temperature records and spouting pseudo-science. On a scale of 1 to 10, your understanding of science and university requirements is 0. Such a statement could only come from an engineer playing with his slide rule. (there are no zeroes on a slide rule). I was an engineering major in my first semester of college. I found my fellow students to be shallow and incurious. They seemed to only care about how much money they would make upon graduation. And the textbook was banal and idiotic, teaching only how to plug into equations that were provided, with no regard for where those equations came from or how they were derived. I switched to physics after the 1st of the year. Best decision I ever made. It was overcast here at SRQ and all I was able to see were raindrops keep falling on my head. I never liked that song… I guess that was better than staying up to watch the Delta 4 heavy (Parker) lift off at 4am and then they scrub the mission like I did Friday night! …. Nice pics anyhow Doc. Earthgrazer is really a great pic. Are there also aurora in background or is that something else? Also anyone know why the green coloration? American Meteor Society says green is due to nickel. “nickel shows as green”. Iron Nickel asteroids are common so certainly plausible. Thanks. While we are on a slow post did anyone figure out the cause of reply posts going to bottom rather than under the comment? WordPress has many mysteries. You have to be careful which reply icon you press. Your physics is irrefutable Gordon. Svante, I think you mean illegible. It stands to reason that something teensy weensy will have no effect. Case in point, the GHE does not stop his heart. svante….”It stands to reason that something teensy weensy will have no effect”. I regard you with a certain amount of likeability based on your droll replies to my posts. At other times, I cannot help but regard some of your replies as downright stupid and that you present them as some kind of Devil’s advocate. We are not talking about something teensy-weensy we are talking about the percent mass of air molecules governed by the Ideal Gas Law and Dalton’s Law of Partial Pressures. We are talking about atomic physics and the properties of the atoms involved. Some idiots posting in this blog think that a gas with a partial pressure amounting to 0.04% of all the atoms comprising air can somehow absorb infrared energy, warm, and spread their heat to the 99% of molecules comprised of nitrogen and oxygen. All this without proof that can be backed by the scientific method. Never mind the glib replies, prove your point if you think it is the case that 0.04% of CO2 can cause catastrophic warming/climate change when it has not done so prior to the Industrial Era. Someone else offered the idiotic reply as an analogy that a few dribbles of ink in clear water can colour the water in which it is a solute. So what? Some have suggested a fraction of a percent of arsenic in coffee can kill you. So what? Stick to the pertinent physics/chemistry. How can 0.04% of CO2 in the atmosphere cause the atmosphere to warm more than it can warm due to solar energy? The so-called 15 year warming hiatus revealed by the IPCC from 1998 – 2012, then furthered by UAH another few years is ample proof that my IGL/Dalton claim is sound. CO2 has not caused the atmosphere to warm for 18 years even though its concentration supposedly increases each year. Furthermore, with around 0.03% prior to the Industrial Era, CO2 caused no warming issues. Why should an increase of another one-hundredth of a percent suddenly cause catastrophic warming? You are right, my physics is irrefutable, at least by the alarmists in this blog. So since water vapor in tropics is about 4% this causes warming and the .04% of CO2 causes less warming? How much cooler would the 26 C tropics be without the radiant effect of the 4% water vapor? Gordon, that ink analogy is good. The earth radiation balance depends on what you see from space. If you add “ink” you will see higher/colder layers. Colder means less radiation to space, so the earth gets a surplus and the lapse rate curve must shift until the top temperature is restored, which means that the surface end is dragged to a higher temperature. Your only hope is the lapse rate feedback but you don’t believe in climate feedbacks, do you? gbaikie…”So since water vapor in tropics is about 4% this causes warming and the .04% of CO2 causes less warming? I have seen no proof that the 4% WV in the Tropics causes warming. The WV would have to be warmer than the surface, which allegedly warmed it, to allow a transfer of heat from the WV to the surface. At best, I’d imagine the WV is in thermal equilibrium with the surface, which means no heat transfer. I cannot see WV back-radiating EM that is absorbed by the surface, causing the surface to warm beyond what it is warmed by solar energy. If anything, any WV back-radiation could only make up for some of the losses produced when the surface radiated the EM to warm the WV. Besides, the UAH record shows little or no warming in the Tropics. Besides, it’s far more likely that the WV came from evapouration, directly from the oceans. No matter what, there is no positive feedback mechanism in place to raise the surface temperature beyond the temperature it attains from solar energy. As the WV rises, it has to cool with altitude. I don’t think the Tropics would be any cooler without the WV. The Tropics are heated by solar energy at an almost perpendicular angle. That’s why the Tropics are so warm. On the other hand, the effect of relative humidity could affect a human living in the WV layer. The WV might make the human feel hotter but that’s only because he/she cannot rid himself/herself of heat as easily. Ok, but it’s 100 times more than CO2. And you argue the rarity of CO2- and it is a tiny impurity of atmosphere- argues against it warming very much [and I don’t think CO2 does warm much]. I don’t think WV or Co2 increases temperature- makes a warm day hotter, but I think greenhouse gases may cause reduction in cooling- and if that is the case, it seems WV should cause far more than CO2. The other aspect of water vapor is one adding and removing gas to atmosphere and as something which condenses, WV affect lapse rate. And generally causes more mixing of atmosphere and transfer of atmospheric heat- which adds up to warming effect or increase in global average air temperature. But again, these effects also don’t make a warm day hotter. Or in terms why Venus is hot, addition of CO2 or water vapor or any greenhouse gas, would not make it hot or hotter. Though the subtraction 90 of 94 atm of atmosphere would cause cooling and addition of another 90 atm of atmosphere would make surface air hotter- so, that would total 184 atm at the Venus rocky surface. I cannot see WV back-radiating EM that is absorbed by the surface, causing the surface to warm beyond what it is warmed by solar energy. Why wouldn’t it be absorbed? Does your bread resist being warmed by your toaster? Where do you think that energy goes, anyway? Besides, its far more likely that the WV came from evapouration, directly from the oceans. How does that explain the observed increase in water vapor?? We are not talking about something teensy-weensy we are talking about the percent mass of air molecules governed by the Ideal Gas Law and Daltonâ€™s Law of Partial Pressures. Gordon, why do you keep doing this? You know yourself it isn’t just about partial pressure of gases. So why do you so willingly repeat this lie time and time again? svante…”If you add â€œinkâ€� you will see higher/colder layers”. Ink is mixing in a solid fluid where water molecules are bonded to each other. The ink can mix easily. In the atmosphere, the molecules are not bonded together and the distance between them is significant. Whereas heat could travel through water molecule to molecule, it cannot do that is a gas. Heat transfer in a gas is proportional to the number of molecules in a mixed gases. The ideal gas law tells you that, especially for a relatively constant volume. The ink analogy is not comparable because the means of mixing is entirely different. Gordon, everything you say is wrong. Solids are bonded, not liquids and and gases. So what do you think the CO2 temperature is then? How does it change with altitude? No, diffusion, convection and turbulence. How much do you think CO2 concentration varies in the athmosphere? It stands to reason that something teensy weensy will have no effect. Will you drink a glass of water that is 400 ppmv cyanide? Can you explain why the ozone layer matters to life on Earth, even though its concentration is below 10 ppmv? Any more stupidity you wish to demonstrate? The real question here is why are you and other alarmists so myopic? What does the effect of 400 ppmv of cynanide on human cells have to do with the effect of 400 ppmv of CO2 in the atmosphere? They are entirely different processes. The effects of each are totally different. myki…”Svante, I think you mean illegible”. No, Svante is a man of his word. If he said my physics is irrefutable, that’s what he meant. It’s just that he doesn’t agree because his mind is full of alarmist propaganda. At least he has a mind, as opposed to the wool you use for brains. “Psychiatrist knits anatomically correct woolly brain. And yet am still more intelligent than you. myki…”And yet am still more intelligent than you”. That’s a delusion produced by an allergy to wool. Actually, most of us have natural intelligence to draw upon. Some of us use it and others allow it to be over-ridden by propaganda, hearsay, and ego. The so-called intelligence measured by IQ tests is not intelligence. An IQ test measures artificial intelligence peculiar to a certain society and its language. A very smart Russian could not pass an IQ test written in English if he/she did not speak English. By the same token, a Mensan would appear an utter fool if suddenly dropped in the jungles of Borneo. You’re not from Borneo, are you? Silly me, they have no sheep in Borneo, wherever would you get the wool? 9 + 7 = ???? JDH, you are not an engineer. Do you ever get anything right? Don’t be like that. I was trying to be complimentary. None of the engineers could provide an answer. What possible mental defect would lead you to think that anyone gives a toss what you think? Your bizarre and unsubstantiated assertions as to who may or may not be an engineer are humorous, but unlikely to be acclaimed by the majority of professional comedians (or mind readers for that matter). Set another test. I’m sure that precisely nobody at all cares, but feel free to waste your time proving me wrong. Anything to deny, divert, and confuse, eh? Maybe you could describe the GHE, if you can tear yourself away from your testing of engineers. You might impress a few scientists (as well as mathematicians like Gavin Schmidt, who pretend to be scientists). No? Oh well, you can always keep on being stupid and ignorant, if you wish. Why did you not pose a real intelligent question rather than a riddle? The first thing to note is that fantasy 2 + 3 = 10 whereas real 2 + 3 = 5 in real math. If we multiply 2 x 5 we get 10. And 6 x 11 = 66 and 8 x 12 = 96. 7 + 2 = 7^2 + 7.2 = 49 + 14 = 63. 9^2 + 9.7 = 81 + 63 = 144. But it took you some time. Nevertheless, you and JDH pass. Okay, “16”. You get to imagine you got the right answer. Just like you get to imagine all your pseudoscience is reality. You must have a really great imagination. I’m not an engineer. I’ve just been exposed to the wrong jokes. Say how many rs in that and you’re a clever man. There are no rs in “that”. A perfect example of the idiotic goalpost shifting used by climatological pseudoscientific cultists trying to appear smart. It doesn’t matter what your answer is, and whether it is correct or not, another cultist will use it to show how “stupid” you are. With these foolish and ignorant cultists, cooling is heating, the laws of thermodynamics are suspended at will, and the climatological jargon generator assigns new meanings to words. What a pack of fumbling bumblers! A new definition of gross ignorance might well be 144 climate pseudoscientists at a convention demanding funding. And I especially like your phrase “pack of fumbling bumblers”. I might “borrow” that from time to time…. Must be a climatological pseudoscientific cultist in the room. If you tell him the answer to 9 + 7 = 16, he’ll tell you it is really 144! Then you will no doubt whine about people solving the stupid gotcha which you didn’t even think up yourself! Maybe you could devote your time more effectively, by providing some basis for your delusional belief that CO2 has miraculous power to create energy! Still no GHE, is there? If there was, you could no doubt describe it, but you can’t. So there isn’t! Boo hoo. entropic…antidisestablishmentarianism is a big word, can you spell it? Unlike JDH and GR, you fail the test. It is no good throwing a tantrum! I suggest you take up another subject. Oh dear. If I thought that anyone but you was remotely interested, I might be concerned. Test away, laddie. We obviously live in testing times, so you’ll save me the effort. As to tantrums, why is it no good if I throw one? I’ll do as I wish. As to your suggestion, you just wasted it. I choose to disregard it, as I usually do with suggestions from the stupid and ignorant. How’s the GHE explanation coming along? People still getting hung up on insulators being one way, it seems. Indeed, the atmosphere slows the rate of cooling if the surface is not being heated by the Sun, as at night, or a little after local solar noon. It still cools – no heating. However, when being heated by the Sun, the atmosphere slows down the rate of surface heating, and about 30-35% of the Sun’s radiation doesn’t even reach the surface. It doesn’t matter to an insulator. In the one case, the order is Sun-insulator-cold sink of Earth’s surface. In the other, surface-insulator-cold sink of outer space. Or, more simply, hotter-insulator-colder. Left long enough, warm-warm insulator-warm. All at the same temperature! Emissivity, density, specific heat makes no difference. Theoretically, the Sun is incapable of maintaining an isothermal Earth at more than around 255 K. Therefore, the Earth’s surface has only cooled to its present temperature, still above 255K. Until the interior has cooled to 255 K, this situation will persist. Still no indescribable GHE. Just a popular delusion, fostered by a collection of attention seeking, but certainly ignorant, and probably stupid, pseudoscientific wannabes. All part of the rich tapestry of life! Except you never supply an answer. Oh, I understand. Better to remain silent and thought a fool rather than speak and out and have it confirmed. myki…”Except you never supply an answer”. Mike often answers in detail but when he does, he is met with replies like yours. You obviously cannot address the points he has made. Why would I bother providing an answer to a gotcha? As you have just demonstrated, nothing satisfies the dimwit posing the gotcha. They just keep whining and complaining about people declining to play their stupid games. I suppose they think that this tactic will obscure the fact the GHE cannot even be described! I might point out that if you think there is any possible reason I should dance to your tune, you are obviously suffering from a severe mental defect – unless you possess some awesome power of which I am unaware, of course! Another witless gotcha or another whiny complaint? Your choice. Boring. You’ve said that at least a thousand times before. I like your more original expression “a pack of fumbling bumblers” much better. A group of NASA mechanical engineers were brainstorming how they might overcome the various thermal problems involved in sending a manned probe to the sun. An electrical engineer overheard the discussion and offered the following suggestion: Why don’t you just go at night ? I’m not sure why anyone would want to be bored, but feel free. I’m always glad to help those less fortunate than myself – if I feel so inclined, of course. Still going with the stupid and ignorant deny, divert and confuse tactic, I see. How are you going with that GHE description? Not so well? That’s because it doesn’t exist! But keep at it. There are still lots of deluded people around who might support your fantasy. Gavin Schmidt believes he is a scientist. Michael Mann believes he deserves a Nobel Prize. Kevin Trenberth believes the Sun illuminates all the continents at once. You don’t need to thank me for a list of possible GHE suckers. It’s my pleasure. You no doubt wish you could describe the GHE, too. If wishes were horses, beggars would ride. Wish away, wish away! So sad, too bad. Still no GHE, is there? When Godiva rode through Coventry to show the local villagers her lovely bare white hide, an electrical engineer was the only one who noted that Godiva rode a horse. A fellow engineer, when asked what he thought of a climate alarmist at the bottom of the ocean, opined that it was a good start. Two tropical storms merge into a big typhoon. Japan is in danger of flooding. In my opinion, “Open Mind” and “AndThenTheresPhysics”, are both just Alarmist echo chambers. They are NOT interested in open debate about global warming. The people who run these websites, and their followers, sit around insulting people who they see as “the enemy”. But they won’t engage with “the enemy”, in honest debate. They have insulting names for “the enemy”. “Deniers” is the most common. It is ironic, that Alarmists are actually the biggest “Deniers”. I have posted comments on both of these websites, in the last week. Anybody who reads my posts, knows that they are polite, they do not attack people, they do not use foul language, and they provide evidence to back up my views. Tamino always deletes my comments immediately. He doesn’t want his followers exposed to global warming heresy. AndThenTheresPhysics initially posted my comment, because he has not had contact with me before. After he checked out my website, he deleted most of my comment. The ideas on my website must be very scary, and AndThenTheresPhysics didn’t want his followers exposed to them. When did AndThenTheresPhysics become the God of Science, deciding what is right, and what is wrong. I thought that Science was an open ongoing debate, and that ideas which didn’t get disproved, became accepted. If you stop ideas being expressed, because you think that they are wrong, then it is no longer Science, it is Religion. 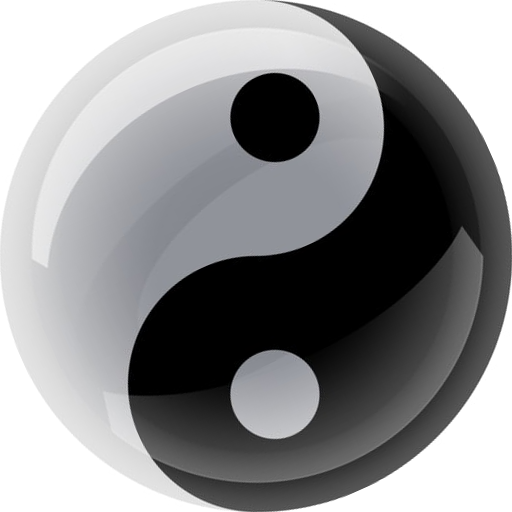 My challenge to “Open Mind” and “AndThenTheresPhysics” is, decide what you want to be. An open forum for discussing global warming, or a bunch of losers, who sit around bitching and moaning. Tamino is an alarmist idiot. You are right about the denier claim. I know of no skeptics who denies global warming, or that climates change. On the other hand, alarmists deny the 2nd law of thermodynamics and physics in general. for the same reason brain surgeons don’t allow just anybody to have a say in how to perform an operation. Climate science discussions should strictly only be open to qualified climate scientists. Not arm-chair critics, dementia cases, retired engineers, geologists, RWNJs and all-round morons. Try and name a qualified climate scientist. Not Gavin Schmidt – undistinguished mathematician. Not Michael Mann – a little better, Geology and Geophyiscs. Kevin Trenberth – meteorology, and self styled climate analyst – of course, climatology is to meteorology as astrology is to astronomy! Climate is the average of weather – 12 year olds can do averages. Says something about the pseudoscience of climatology, doesn’t it? It would time for you to appeal to authority, if you could find one, wouldn’t it? Or you could name one (just one) benefit of the billions of dollars wasted tilting at this particular windmill! Do you think it might be worse than we thought? How is that description of the GHE going? Good luck! Gavin, Michael and Kevin (3 eminent climate scientists) really bother you don’t they? I could modestly add my name to the list, but that would annoy you even more. Why waste time casting pearls before swine. Why would a collection of second rate wannabes bother me? Any deluded fantasist can claim to be a climatologist, and as you have capably demonstrated, many do. You may add your name to as many lists as you like, and I still decline to become annoyed. You still can’t describe the GHE, can you? Maybe it is hidden away with Schmidt’s new physics (which prevents his expensive computer game from working), Mann’s Nobel Prize, or Trenberth’s missing heat! Are you a bearded balding bumbling buffoon, or just a buffoon? The world wonders – or maybe doesn’t care. myki…”Climate science discussions should strictly only be open to qualified climate scientists”. 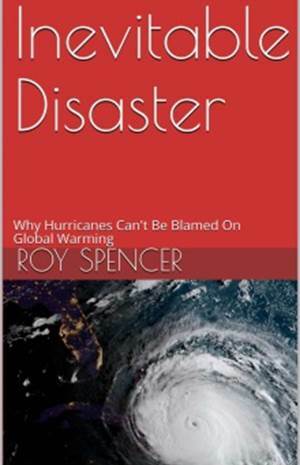 Roy Spencer of UAH has a related degree in meteorology. John Christy of UAH has an actual degree in climate science. Gavin Schmidt of GISS has a degree in mathematics and his buddy Michael Mann has a degree in geology. According to you, the discussions should only be open to scientists like Roy and John of UAH, something with which we can agree. I could countenance discussions with Roy and John since we are all qualified. But what would you and MF do? Maybe you could could take up a another hobby? I could buy you a jig-saw puzzle. Discussions? I suppose some might think that physical facts can be changed by consensus. Wrong. Try discussing a description of the GHE into existence! Try to discuss away the four and a half billion years of the Earth’s surface cooling! The refuge of the climatological pseudoscientist – deny, divert, confuse. Still no testable GHE hypothesis? What a surprise. Here’s a thought – blame it on the IPCC for allowing themselves to be led by Pachauri – a railroad engineer! Choo choo, toot toot, off we go! My god – an engineer! Don’t you think it is appropriate that an engineer accepted the Nobel Prize on behalf of the IPCC? Mind you, he had qualifications in economics as well – that must count for something. Re-elected as Chairman by acclamation! Consensus! Maybe he was really, really good at calculating averages. After all, climate is only the average of weather records, isn’t it? How hard can it be to calculate an average? What a load of rubbish! 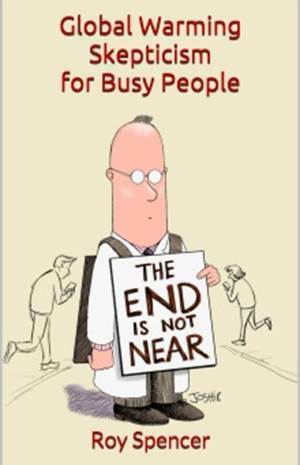 A leper with no fingers could gain useful employment enumerating the benefits of climatology to mankind, wouldn’t you agree? Have you made any progress on the GHE description yet, or are you too busy perfecting your stupidity and ignorance? I was playing poker with just such a person last night. He threw in his hand. If a guy with a bone through his nose calls himself a witch doctor, does that mean he studied at university and belongs to the AMA? In the UK, they have the quaint notion of calling electronic technicians ‘radio engineers’. At NASA GISS, mathematicians and computer programmers have the nerve to call themselves climate scientists. myki…”I could countenance discussions with Roy and John since we are all qualified”. Anthropologists don’t qualify as climate scientists. So you can’t countenance anything. Some geographers have the nerve to call themselves climate scientists. Typhoon is getting closer to Okinawa. David Appell….”Why wouldnâ€™t it be absorbed? The toaster element is many orders of magnitude hotter than the bread, therefore heat is transferred hot to cold, in line with the 2nd law. The atmospheric temperature is in thermal equilibrium with the surface at the surface and becomes cooler with altitude. At thermal equilibrium, no heat is transferred, and as the atmosphere becomes cooler, no heat can be transferred from cold to hot. With regard to where the radiation goes, where does visible EM go when it is not absorbed by an object? I am not talking about reflection, I’m talking about colour. Objects absorb certain wavelengths of light and reject others. what we see as colour is the rejected wavelengths. If those wavelengths don’t strike our eyes, where do they go? David Appell, learn some physics! Thanks gordon. I have tried enough with the same outcome to eliminate user error. It must be a setting with my phone or some sort of compatibility issue. The only one there with a degree in climate science is Trenberth. John Christy of UAH studied under Trenberth as a grad student, putting John light years ahead of Schmidt or Mann. So why don’t you listen to John when he tells you his data the past 38 years shows little or no warming, depending on the location on the planet.